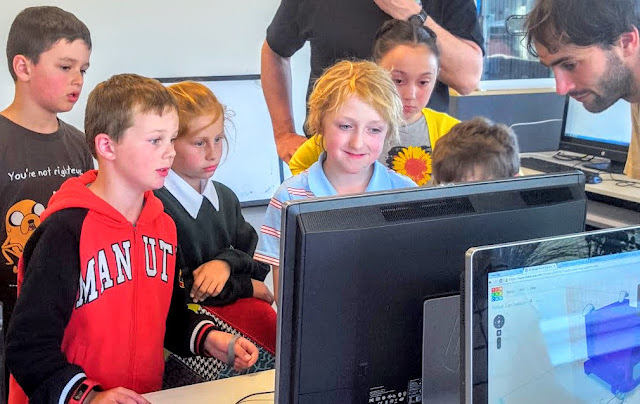 At The Mind Lab by Unitec, in Wellington New Zealand, we recently ran an after school robotics programme for 6 weeks. During the programme, students learnt how to build and program robots using Arduino microcontrollers, 3D printers and various electronic and mechanical components. There were 8 students in the group aged between 7 & 9 yrs. 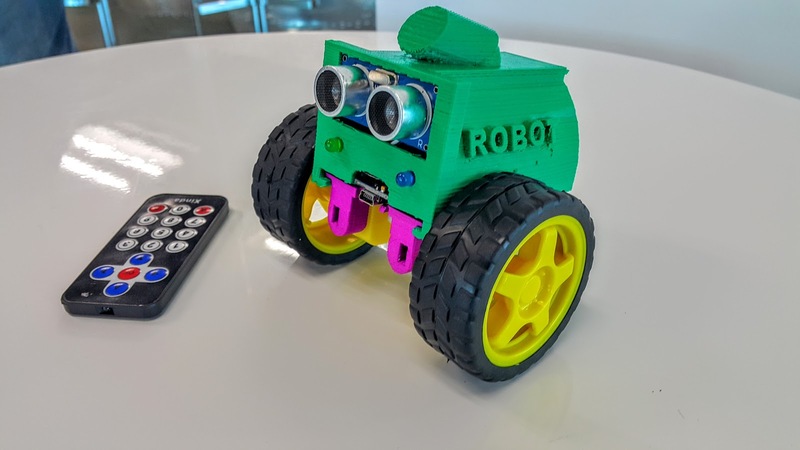 For 1.5 hours a week, the students attended the lab and by the end of the programme they had successfully designed, created and coded their own custom robots. They are controlled via an infrared remote and have ultrasonic sensors (eyes) for autopilot mode. 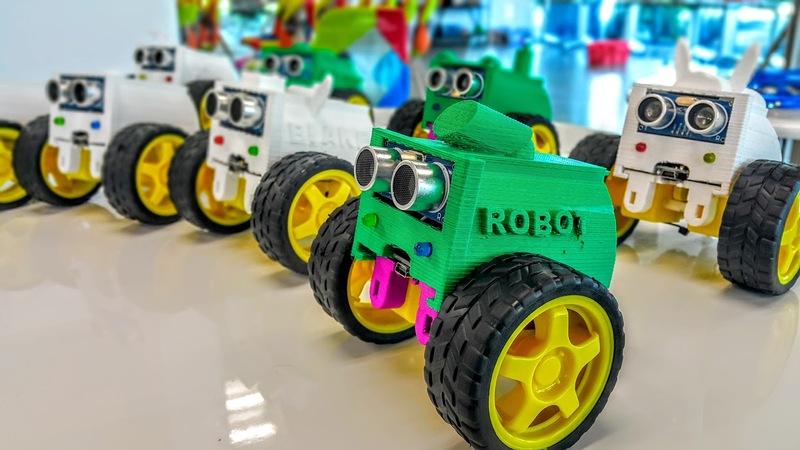 With this robotics programme, we wanted to take learning with robotics to the next level and teach kids how to actually make their own programmable robots from scratch. We wanted the students to learn design and computational thinking skills in a fun, creative and personalised project. Great learning sessions can come from assembling and coding modular premade robotic kits like Makeblock or MRT. But with this 6-week programme, we wanted the students to design, customise and 3D print their own robot chassis. We wanted them to assemble the components themselves, program them and gain a deeper understanding of how microcontrollers, sensors and mechanical/electrical components work. The students designed and modified their robot chassis in tinkercad.